The Central Bank of Nigeria (CBN) said that the National Collateral Registry would increase lending by financial institutions to Medium, Small and Micro Enterprises to over N1.23 trillion. The CBN Governor, Mr Godwin Emefiele said this on Monday in Abuja at the First National Workshop for Justices and Judges on Secured Transactions in Movable Assets Act, 2017. The workshop had as its theme: “Leveraging on Movable Assets for Credit Delivery in Nigeria: Legal and Regulatory Framework’’. 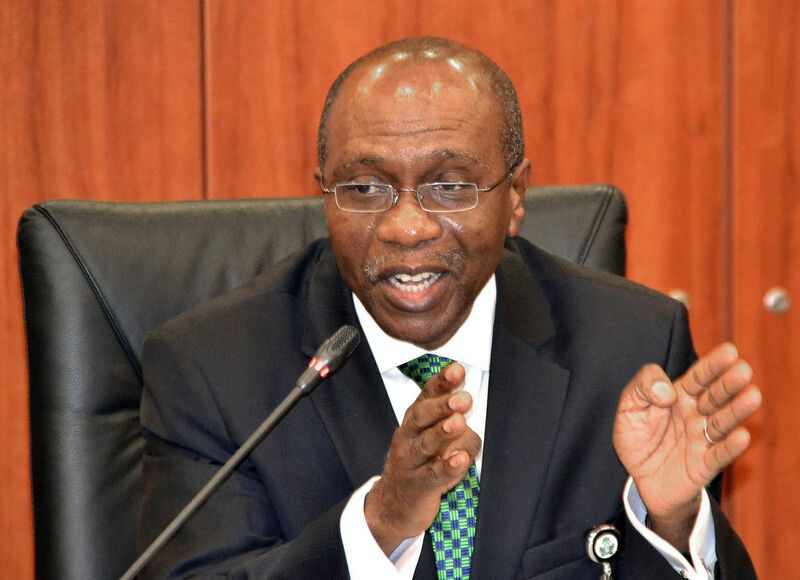 Emefiele explained that the Secured Transactions in Movable Assets Act, 2017 allows borrowers to seek credit from any financial institution, leveraging assets like jewelries, farm products and vehicles as collateral. He said that the CBN pushed for the establishment of the act to enhance financial inclusion by expanding the use of other assets aside land as collateral. “As at Jan. 31, 2019, 628 financial institutions comprising 21 Deposit Money Banks, four Merchant Banks, one Non- Interest Bank and four Development Finance Institutions have registered on the Portal. “Also, 551 Microfinance banks, 13 Non-Bank Financial Institutions and 34 Finance Companies have registered their institutions on the portal. “Lending institutions have registered interest on movable assets worth N1.23 trillion, 1.144 billion dollars and 6.08 million Euros using 41,408 financing statements by 163,042 borrowers. “This underscores the potential of the use of movable assets and hence our resolve to drive its growth,’’ he said. Emefiele underscored the role of the judiciary in making sure that the Secured Transactions in Movable Assets Act, 2017 was used to secure the investment made by financial institutions in the country. Also, the acting Chief Justice of Nigeria, Honourable Justice Ibrahim Muhammad, pledged that the judges would interpret and apply the Secured Transactions in Movable Assets Act, 2017 in their judgments. “The workshop is aimed at exploring effective means of accessing finance by the use of all forms of assets capable of being moved or transferred as collateral. “Access to finance is very important in the growth and development of any economy and as such its important to expose judicial officers to the workings of the National Collateral Registry. “This workshop will involve training and discussions around access to finance within the regulatory framework for secured transactions in movable assets. “We will also be looking at how to resolve disputes that could arise through the use of the act,’’ he said. The News Agency of Nigeria (NAN) recalls that the National Collateral Registry was inaugurated in May 2016, which led to the establishment of the Secured Transactions in Movable Assets Act, 2017. The registry is a financial infrastructure that seeks to deepen credit delivery to MSMEs through enhanced acceptability of movable assets. The assets include items such as equipment, machinery, vehicles, tricycles, crops, livestock, account receivables, inventories and jewelries etc. The objectives are to enhance financial inclusion in Nigeria, stimulate responsible lending to MSMEs and facilitate access to credit secured with movable assets among others.